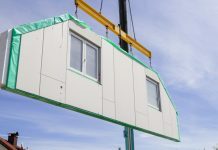 Home Modular Construction News Offsite manufacturing: What’s stopping us? The construction industry is at a critical juncture. For years, it has struggled with deeply ingrained structural flaws, giving rise to low margins and low productivity. To this can now be added the looming uncertainties of Brexit, which promise to exacerbate the skill shortages and to accelerate the threat of a demographic timebomb for the industry’s labour force. The silver lining is that hard times often provide the catalyst for real and lasting positive change. There is a growing perception that technological advances and new methods of construction are gaining traction, and have the potential to drive productivity gains and increase capacity, while still delivering on quality. 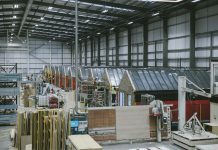 But the tipping point has not yet come, particularly when it comes to using advanced offsite manufacturing (OSM) techniques to deliver cutting-edge buildings. 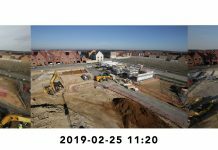 Despite several notable pioneers and limited usage in specialist packages, the traditional onsite construction approach generally remains the norm while the industry grapples with how best to embrace the opportunities – and mitigate the risks – that OSM presents. That could be about to change. 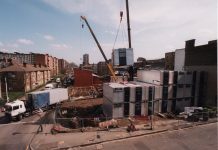 From next year, the government is committed to adopting a “presumption in favour of offsite construction” across several key departments, including transport, defence, health and education. 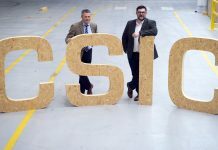 In addition, the Construction Sector Deal launched this summer with a view “to transform the sector’s productivity through innovative technologies and a more highly skilled workforce”. It identified OSM as one of its key areas of focus, in the belief that it will “minimise the wastage, inefficiencies and delays that affect onsite construction, and enable production to happen in parallel with site preparation – speeding up construction and reducing disruption”. Meeting those objectives will necessitate a paradigm shift in how projects are designed, developed and implemented, requiring greater collaboration between clients, architects, contractors and suppliers, and further investment in R&D and production processes. Other innovations such as artificial intelligence (AI), robotics, 3D printing and blockchain digital supply ledgers could also increasingly come into play a role in finally bringing the industry into the 21st century. For many in the industry, however, offsite manufacturing and its implications remain unchartered territory – or at least a work in progress – which is why we carried out a survey and in-depth interviews with a broad cross-section of industry players to better understand the key technical, commercial, legal and regulatory implications that businesses need to consider. The cost of investment and lack of relevant knowledge within organisations are the two primary barriers stopping the development of OSM in the construction sector, according to our survey. 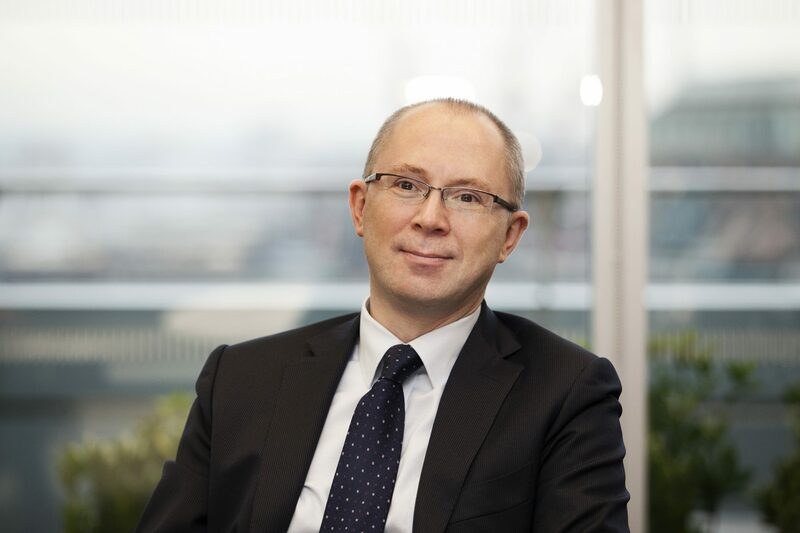 Fifty-nine per cent of 31 C-suite executives from the UK’s top 50 construction firms believe investment costs are the primary factor hindering the implementation of OSM, followed by a lack of relevant expertise within their organisation (48%). 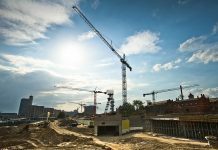 The construction industry is yet to reach critical mass as far as the use of OSM techniques is concerned. The vast majority (80%) of survey respondents’ organisations only use OSM for between 1-20% of the construction work they carry out. However, its use is expected to increase within the next five years – 61% say they expect to double the amount of construction work that they carry out using OSM, using it for between 20-40% of jobs. It’s a similar picture with plans for investment. Just over half (55%) of survey respondents invested only 0-2% of revenue on OSM in the last five years, while in five years’ time, just 6% expect to invest at this low level. The majority plan to invest much more – 39% plan to invest between 3-5% and 42% between 6-20% of revenue in OSM. Of course, one persistent problem that needs to be addressed is the lack of a secure pipeline of projects. Since the decline of PFI/PPP at the beginning of the decade, the industry has been dismayed by a severely limited flow of new schemes. As industry experts told us in our report, it would be a very difficult commercial decision to invest seriously in OSM technology without a clear plan of how and when it will deliver a return. The combination of BIM with modular design and OSM has the potential to transform the way buildings are constructed. 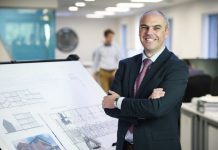 The benefits of BIM are well documented but, in short, it could allow the construction industry a much more holistic view of a building and the potential to digitally map all of its components. Indeed, some in the industry are already making use of this. 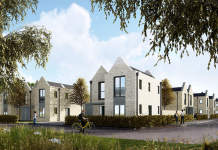 For example, David Miller Architects and Hill Bespoke have been using BIM combined with OSM techniques to ensure that a new housing project in East London is ‘defect-free’. The use of BIM to resolve the complex design issues of creating modular apartments within a curved design ensured that all interfaces and details were resolved prior to manufacture so that completed units could be fabricated for a precision fit. As the barriers to investment are eroded and further progress is made, this approach could well become the norm. Of course, for such an approach to really take off, the industry needs to continue to invest in developing its digital skills and embrace the cultural shifts OSM requires (predominantly the need to accelerate progress to a design freeze, following which production can begin). would provide assurance over product standards and suitability of usage – one area where blockchain could come to the fore. To keep all this innovation on track, a robust legal framework will be essential, from contract terms for supply and installation to professional indemnity and product liability, and effective regulation of environmental, health and safety and employment issues. As the risk landscape changes, organisations need to ensure they understand the new threats they could face as a result of embracing new technologies and working practices.